Contractors are required by law to be licensed and regulated by the Contractors’ State License Board which has jurisdiction to investigate complaints against contractors if a complaint regarding a patent act or omission is filed within four years of the date of the alleged violation. A complaint regarding a latent act or omission pertaining to structural defects must be filed within 10 years of the date of the alleged violation. Any questions concerning a contractor may be referred to the Registrar, Contractors’ State License Board, P.O. Box 26000, Sacramento, CA 95826. The TOTAL COST for the solar energy system (including financing and energy / power cost if applicable) is: $ . To make a complaint against a contractor who installs this system and/or the home improvement salesperson who sold this system, contact the Contractors State License Board (CSLB) through their website at http://www.cslb.ca.gov (search: “complaint form”), by telephone at 800‐321‐CSLB (2752), or by writing to P.O. Box 26000, Sacramento, CA 95826. If the attached contract was not negotiated at the contractor’s place of business, you have a Three‐Day Right to Cancel the contract, pursuant to Business and Professions Code (BPC) section 7159, as noted below. For further details on canceling the contract, see the Notice of Cancellation, which must be included in your contract. You, the buyer, have the right to cancel this contract within three business days. You may cancel by e‐mailing, mailing, faxing, or delivering a written notice to the contractor at the contractor’s place of business by midnight of the third business day after you received a signed and dated copy of the contract that includes this notice. Include your name, your address, and the date you received the signed copy of the contract and this notice. As discussed above, if you’re a prime contractor on a project other than a home improvement project, there is certain statutory language you must include in your contracts. But if you’re a prime contractor working on a home improvement project, whether a single-family, condominium, or multi-family project, you must use a contract which complies with Business an Professions Code section 7159 which sets forth numerous detailed requirements from font size to headings to required language. Be in writing and include in the title the words “Home Improvement” [Contract or Agreement] in at least 10-point boldface type. Be in a typeface of at least 10-point type with headings in at least 10-point boldface type except as provided otherwise. Include, on the first page of the contract, the date the date the project owner signed the contract and the name and address of the contractor, along with a statement advising the project owner that a Notice of Cancellation may be sent to the contractor at the address provided. Include the name, business address and contractor’s license number of the contractor and, if a home improvement salesperson solicited or negotiated the contract, the name and registration number of the home improvement salesperson. A statement that, upon satisfactory payment being made for any portion of work performed, the contractor shall, prior to further payment, furnish a full and unconditional release from any potential mechanics lien claimant. A statement describing what constitutes substantial commencement of work under the contract. A statement that the project owner may not require a contractor to perform extra or changed work without providing written authorization prior to the commencement of work covered by the change order. “Contract Price,” followed by the amount of the contract. If late payments are subject to a finance charge, the heading “Finance Charge,” followed by the amount of the finance charge. “Description of the Project and Description of the Significant Materials to be Used and Equipment to be Installed,” followed by a description of the project and of the significant material sand equipment to be installed. If a downpayment will be charged, the heading “Downpayment,” followed by the amount of the downpayment and a statement that a downpayment may not exceed $1,000 or 10% of the contract price, whichever is less. If progress payments will be made, the heading “Schedule of Progress Payments,” followed by the amount of each progress payment and the work to be performed for each progress payment and a statement that it is against the law for a contractor to charge for work not yet completed other than a downpayment. “Approximate Start Date,” followed by the approximate start date and, “Approximate Completion Date,” followed by the approximate completion date. “Note About Extra Work and Change Orders,” followed by the statement extra and changed work become part of the contract if a change order is signed by the parties prior to commencement of the extra or changed work. 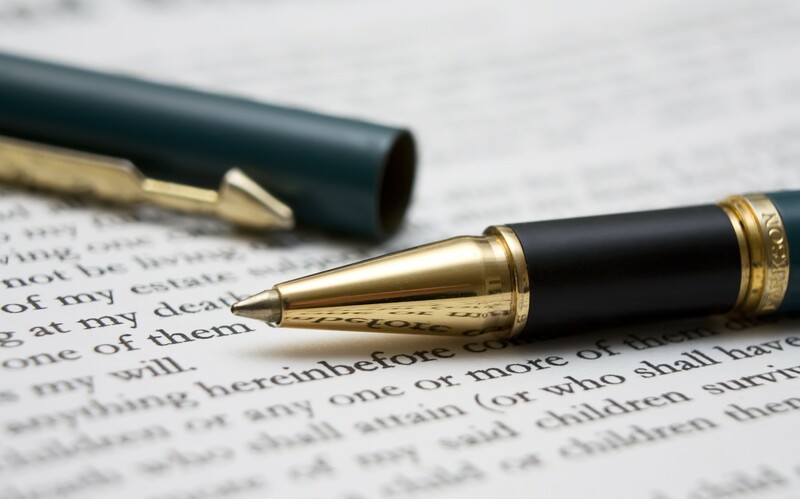 If applicable, the heading “List of Documents to be Incorporated into the Contract,” followed by a list of documents incorporated into the contract. A notice that the project owner has the right to require the contractor to have a payment and performance bond. A notice regarding whether the contractor carries commercial general liability insurance and workers’ compensation insurance. A notice concerning mechanics liens. A notice, in at least 12-point type, regarding the California Contractors State License Board. A notice concerning the project owner’s Three-Day Right to Cancel. For any contract written for the repair or restoration of residential property damaged by a sudden or catastrophic event in which a state of emergency has been declared, a notice concerning the project owner’s Seven-Day Right to Cancel. Not exactly a construction contract requirement more so than a requirement that you comply with before you enter into a construction contract, is that if your license has been suspended or revoked two or more times in an 8-year period, Business and Professions Code section 7030.1 requires that you disclose such suspensions and/or revocations “prior to entering into a contract to perform work on residential property with four or fewer units.” The disclosure, which can be included in a bid, must be in capital letters in 10-point roman boldface type or in contrasting red print in at least 8-point roman boldface type. Hello Garret. In California, is a Class A/Class B contractor doing hazmat remediation on a commercial office building required to provide a written estimate as opposed to proceeding on a time and materials basis? Could you direct me to the applicable California statute(s). Thanks very much. does failure on the part of the contractor to fill out the Right to Cancel notice and simply insert the date on which the three days expires void the Notice or allow cancellation to occur after the three days? Hi Robert. The statute does not specify and no case I am aware of has addressed this issue. In short, you’re treading in uncharted waters. Having said that, I would imagine that a court would find that so long as the contractor substantially complied with the statute that inserting the expiration date would be deemed substantial compliance with the statute since the contract should already indicate the name and address of the contractor. Many home improvement contracts use a work-around that can lead to big misunderstandings – the “allowance.” Used sparingly, it can be an OK way to get a project underway even if a final product selection has not been pinned down (e.g. appliances or ceramic tile). I have encountered HICs where 2/3 of the contract value is in line items tagged as allowances, which are then subject to revision once the actual costs are determined. This practice has the effect of making a “stipulated sum” agreement subject to huge increases (the adjustments almost never go the other way)! I am not aware of any statute or case law regarding the use (or misuse) of allowances in HICs. Thanks Dave. Very interesting. Sounds like time and materials disguised as allowances. Thank you, Garret, for your reply. It’s much appreciated. When I stated, “clearly the contractor is violating the law.” I was referring to their contract which calls for the 2nd payment of $52,560.00 upon a start of the work. No materials or labor was provided at the time of the 2nd payment. The contract was for the renovation of a multi-unit dwelling. Does this fall under the home improvement contracts guidelines? No payments after the initial deposit until work is performed or materials provided. No, save for a down payment, which is limited for projects subject to the home improvement statute (including condos), a contractor can’t charge for work not yet completed or for materials not yet delivered. May a California single-family residential remodel contract between an Owner and prime subcontractor be written on a “Cost-Plus” basis, if the contract is subject to a Not-To-Exceed figure, i.e., a guaranteed maximum price? No, it can’t. Only stipulated sum contracts are allowed for residential remodel construction contracts. Exactly, what my research yielded. You are the best. Thank you so much! What do you do if your contractor abandoned your commercial job, but when you look up the name of the company that signed the contract/term sheet (no License number), they don’t exist on the license board website? There are, however, three companies that the man who signed the term sheet is associated with on the license board website that each have different license specialities (B, C7 and C41) but none match the dba name on the term sheet? Which license bond surety do I contact? Sounds like a pickle. You may be better off suing than filing a license bond claim because I can we’ll see a surety saying your contract is not with the company with whom the surety provided the bond. Hi Garret. Thank you for your blog. I am a board member of an HOA. We have been sued in the past for over a one million dollars due to hiring an unqualified general contractor and poor contract. Currently, we have a new management company that provides the board with large dollar construction contracts which don’t come close to fulfill California contract laws requirements. I provided the board and management company copies of your blog. To no avail, completely ignores the requirements. Example front loading, one contract totals $175,000.00 down payment $1000.00 2nd upon start $52,560.00… etc. No labor cost or material just one sum total. I can provide a copy for your entertainment. Question: clearly the contractor is violating the law. Are the management company and the board as well? I voted “no” on the contract with the statement doesn’t meet Calf Contractor Contract laws. We are responsible for 125 units aka families. Hi Maurice. You question is prefaced on the statement: “clearly the contractor is violating the law.” I’m not sure on what basis you believe the contractor is clearly violating the law, but if you mean violating the law in terms of not using a statutory home improvement contract, and I’m gleaning that from your statement that the contractor required a down payment of $1,000 and 2nd payment on start of $52,560, it depends on what work is being performed. If the work is to common areas of the development, and not to residences, then a statutory home improvement contract is not needed. As to the extent of potential liability of the HOA’s board, I’m not an HOA expert but you might find this article helpful – https://static1.squarespace.com/static/5268479fe4b0d94adb89065f/t/52fe7600e4b072f887f580d3/1392408064696/BOARD+MEMBER+FIDUCIARY+DUTY+A+Nuts+and+Bolts+Approach.pdf. Garret…. enjoyed your summary and good counsel to the above inquiries (I practiced RE law for 30 yrs and was a specialty contractor for 17 years). The statutory warnings for home improvement contracts are no doubt well intended, but it is absurdly unmanageable. It is little wonder that virtually nobody complies completely. Cheers. Hi, Garret. Great article. Would a contract between a General Contractor and the Owner of a multi-unit residential property for the purposes of Seismic Retrofitting under the City of Los Angeles’ Soft-Story Program (Ordinance No. 183893) be considered a “Home Improvement Contract” and subject to the requirements of 7159? Thank you! Hi David. I’m not familiar with the ordinance you are referring to but if it involves construction work you would need to use a statutory home improvement contract, even for work on an apartment building, which I know seems odd. I read your answer to this question about work on an apartment building and your answer to a question below about work in an HOA common area. From your answers it appears that if I had some exterior concrete steps up to the front door of an apartment in an apartment building replaced it would require a statutory home improvement contract but if I had the same steps replaced up to the front door of a condo, but still in the common area, it would not require a statutory home improvement contract. Can you confirm whether my understanding is correct? Can you also confirm that any work on an apartment building, regardless of the number of apartment units, requires the statutory home improvement contract? Is a corporation which does home improvements required to follow the maximum deposit requirements in California, i.e. 10% max? I read the statute and it apples to “real persons” so not sure if a contractor can hide behind a corporation and get away with requiring a larger deposit. Hi Daniel. The Home Improvement statute applies to home improvement contractors which includes both individuals and business entities performing home improvements. Great information for HICS, however I am looking for information on C-45 (signs) license contracts. It is a bit difficult to decipher what exactly needs to be included in a specialty license contract. I was hoping you could point me in the right direction. Hi Lyle. Other than what I’ve included here, I’m not aware of any special contractual requirements for contracts by C-45 licensees. Hi, Garrett. Are you familiar with any on-line resources that provide free samples of building contracts for use in California? I’m a customer who will be building a home. The contractor will be providing the contract, but I’m wondering if there are provisions that should (and shouldn’t) be included. I’d like to compare the contract he provides with a standard or model contract. Thanks! Hi Cathy. As I’m sure you’ve found there are free contracts you can find on the Internet, some may be California specific while others may not, but free and good contracts I’m not aware of. There are a number trade associations which have developed their own model contracts including the American Institute of Architects, the Associated General Contractors of California, and the ConsensusDocs set of contracts, but there’s a fee for all of them. If you are building a house and you an architect, and if contract review is among the services your architect is to perform, I would ask your architect. Construction contract drafting and review isn’t something I think you should do unless you have experience doing it. Thank you so much. Great information! What are the requirements for a contract for a new residential construction? Sea like the well written article above is only for home improvement. If we are tearing down a house and building a new one, how do we assure our contractor gave us a valid contract? Hi Vivian. For new residential construction the only requirement is that the contractor include its contractor’s license number. Things can get a little gray, however, if the contractor is going to leave up a wall or leave the foundation, in which case, it could be argued that it’s a home improvement contract. In general, however, I would ensure that that the contractor is licensed, has no claims against it (which you can find out on the CSLB website), has adequate insurance, and, of course, there’s nothing like good referrals. Good luck on your project. Is it common for a home improvement contract to have a cap or limitation on liabilities provision, essentially saying that the most that the contractor can be liable for is the amount of the payments required under the contract? Hi David. As you know, home improvement contracts must comply with the requirements of Business and Professions Code section 7159. While Section 7159 sets forth what is “required” to be contained in home improvement contracts it does limit what may be included in home improvement contracts. Thus, while Section 7159 does not require that limitation on liability provisions be included in home improvement contracts it does not preclude the inclusion of such provisions either. I noticed that you are an attorney. You may want to look into whether a limitation on liability provision in a consumer contract, which is essentially what a home improvement contract is, is enforceable. I could well imagine that courts may put some limitations on such provisions, particularly, in contracts with consumers. Is it necessary for the RMO to sign the contract? can anybody other than an RMO sign a construction contract? If not signed by the RMO, is the contract invalid by operation of law? Hi Fernando. Any authorized officer of the company can sign a contract. It does not need to be the RMO. when you say officer, does he have to be on the license. or any officer of the company. I believe during the review for the exam, it was mentioned that the person signing has to be on the CSLB license. Is that the case. and if so, and the contract was not signed by an officer on the CSLB license, does that make the contract invalid. Hi Fernando. I am unaware of any such requirement. While it is typical that an officer of a company sign contracts, anyone who is authorized by the company to sign and bind the company to agreements it has entered into can do so. For example, if the company is a corporation, most corporations have bylaws which set forth who has authority to sign contracts on behalf of the company and may even provide that such persons can delegate that responsibility to others. Particularly for very large companies this makes a lot of sense, because you wouldn’t want to have the President of Google, as an example, having to sign every purchase order or contract for toilet paper, copy paper and disposable cups. If you are aware of anything in the CSLB statute or regs which says differently, I would be interested in seeing it. Garret, yes I called the CSLB. A construction contract can only be signed by someone on the CSLB license. A licensed HIS can also sign. However, the CSLB said it is by principle not by statute. So it is nowhere in chapter nine. But the CSLB said any complaint about this will find the person signing as guilty of unlicensed contracting. I was just thinking maybe that you know the doctrine behind that. Interesting. Thanks for the tip Fernando. I have to say though, I don’t know what authority the CSLB would have to back them up on that, and by saying “it is by principle not by statute” doesn’t sound very convincing to me. The CSLB is a regulatory agency responsible for enforcing the laws enacted by the State Legislature and unless the State Legislature has said that only individuals listed on a contractor’s license can sign contracts, I don’t know that the CSLB implementing such a requirement, would be upheld in court. My two cents. Thanks for the reply, That is exactly what I discussed with the CSLB person in intake. I believe that the first step would be to complain to the CSLB and use the report in court. I am in a situation with a prime contractor where the RME is an absentee and he was not the one who signed the contract. His license was also not on the contract and did not put the provisions on 7030.5. We are going to try to invalidate the contract. Do you have a suggestion. Hi Fernando. We’re getting into the “legal advice” but “I’m not your lawyer” area, and I don’t know enough about the specifics of your situation, sorry. Garrett, is this the reason why it is required that the RME or Officer listed on the license submits a bid or offer or contract. I think signing a bid or contract is the only proof that the contractor was the one who submitted it. Hi Fernando. I don’t believe so. The term “person” means more than simply an individual, and includes business entities as well, so the term “person” should not be construed to mean the RMO or RME of a business. Good overview. Most contracts (especially GC-written ones) I see for home improvements (remodeling, additions) don’t come even close to meeting the statutory requirements. More needs to be done to educate owners and contractors, I think. On a related subject, why isn’t a custom new home construction project considered a Home Improvement Contract? Is it because a home can only be improved if it already exists, or is the reasoning related to a judgement call by the legislature about the sophistication level of people building custom homes? Thanks Dave. I completely agree. I think I’ve seen at most one or two “proper” home improvement contracts in the cases I’ve handled. But, then again, since I often get involved after things have gone wrong, my world view may be somewhat limited. Business and Professions Code section 7151 defines “home improvement” as “the repairing, remodeling, altering, converting, or modernizing of, or adding to, residential property” which, as you point out, excludes new residential construction. My guess as to why the State Legislature exempted new residential home construction from the home improvement contract requirements is, as you say, because of the relative sophistication between the contracting parties for new or custom home construction but also, I think, because The Right to Repair Act (SB 800) provides a relatively comprehensive scheme applicable to new residential construction. Good point. And it takes a really sophisticated owner (and a great attorney) to grapple with SB800!